April Meeting with a difference. Instead of the normal speaker Alan will be running a prize bingo. No cost to take part. Come along and see if you remember – ‘two ducks’ (22), legs 11, two fat ladies (88), it should be fun. 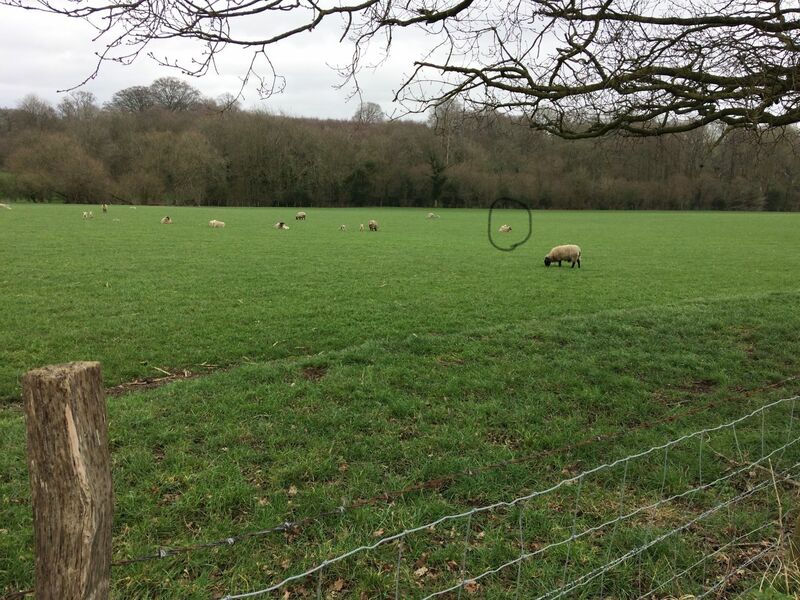 If you use the zoom you can see a lamb sitting on it’s mother back to keep warm. Trixie thought this more interesting than the walking group !! Open to all members, sign up at club meeting or contact John Hopkins direct. The club will be returning to Nizels Golf Club for their Christmas Meal, this year moving to a lunchtime celebration. Cost £23 per person, names and payment to Jan. Look out for menu choices at club meeting. On Monday 26th November 2018 members of the club will be travelling to Thursford for the Christmas market, staying overnight to take in some of the sights. Speaker Ed Thompson will talk to us about Sevenoaks 1st Railway Station from 8pm with a break at 9pm for tea, coffee and a chat followed by the club business and the monthly raffle. We plan to go to Sussex Prairie Gardens near Horsham. We will pick up the coach from Sevenoaks Community Centre and travel to Sussex for a guided tour of West Sussex, stopping on the way for lunch, In the afternoon we will visit the new Sussex Prairie Gardens where we will also have afternoon tea. All names and payments to Jan please.